Panel II: What means and comes with a special bank tax and financial transaction taxes? For fifteen years, he had been managing newly established company in the developing banking sector in Czechoslovakia and Slovakia, which he built into a company with a successful reputation and a market top trade mark. He graduated at the Faculty of Electrical Engineering of the Slovak Technical University in Bratislava. He worked as a stockbroker. He worked at Penta Investments as an investment manager, later in the period 2002 - 2010 as one of the partners. In his position of ASEP President and RÚZ Vice-president as a representative of employers, he is focusing at the reforms of the Labour Code, the tax and social contributions system and law enforcement. According to him, systemic changes in health and education are one of the key priorities for the present. Graduated in Monetary Policy at the Economic University in Bratislava. He had been working in the area of money market operations and management of the banking financial risks for various banks in Slovakia and abroad. Currently works for the broker company as the analyst of the world financial market. Co-founder of the INESS. Graduated in Financial Management at Faculty of Management of the Comenius University in Bratislava. He had been working for a commercial bank abroad as an analyst. He is interested in public finances, social system and energy sector. He is a fellow of French IREF. He is an Economist at Conservative Institute of M. R. Štefánik (CI) and external lector in economy at the Comenius University in Bratislava. Since 2011 he is a director of the CI. 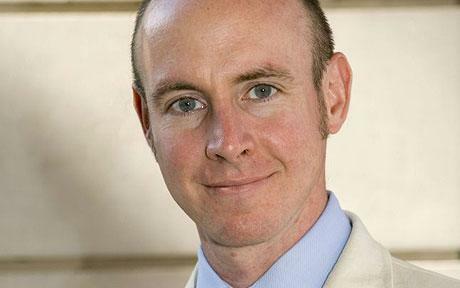 He is a Slovak Senior Fellow of the British Cobden Centre. Member of the European Parliament since 1999, Secretary General of the Aliancie európskych konzervatívcov a reformistov (AECR), who loves Europe, but believes that the European Union is making its constituent nations poorer, less democratic and less free. Graduated at Moscow State Institute of International Relations in Moscow, Faculty of Law of the Charles University in Prague and Harvard Business School in Boston. He had been working at the Ministry of Foreign Affairs, he was a vice-president of the EastWest Institut and held the same position in Citigroup. Before becoming the State Secretary at the Ministry of Finance in 2012 he was an Executive Director of the J. P. Morgan Chase Bank in London. Graduated in Diplomacy at the Oxford University and at Diplomatic School in Madrid. He also graduated at the Institute of International Relations of the Comenius University in Bratislava and Slovak Technical University. He had been working at the Ministry of Foreign Affairs as well as in the team of the former high commissioner for foreign and security policy Javier Solana and was a head of department for enlargement at the Directory General for Agriculture and Rural Development of the European Commission. 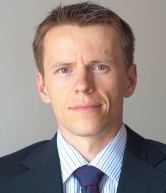 Since January 2012 he is a Head of Representation of the European Commission in Slovakia. Graduated at the Slovak Technical University. 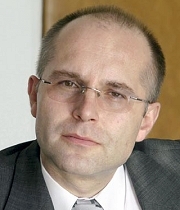 He has been working in Tatra banka since 1992, since 1997 holds position in the Board and he is a Director General since 2007. 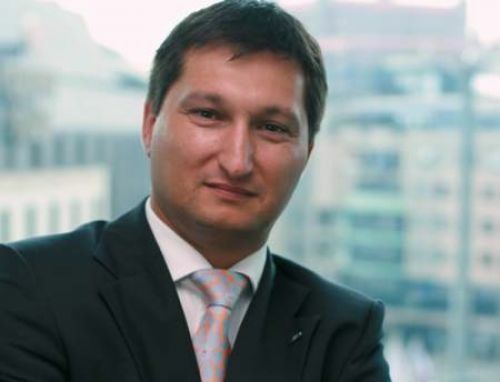 Since 2009 he is the President of the Slovak Banking Association (SBA). In past he had been working at the Ministry of Finance, dealing with the regulation of the financial market. Since July 2010 he is responsible for Financial Market Supervision in the central bank. Although he is not in the position of the vice-governor, he is responsible for an agenda, which had been in the portfolio of vice-governors before. He has been working in .týždeň as an editor since autumn 2010 and is responsible for the Economy a Club sections. Born in 1983 in Bojnice, graduated at Law Faculty of the Comenius University in Bratislava. He is interested in unintended consequences of the human behaviour.